Inspirational ideas and moments of super creativity often come to us out of the blue, when we least expect it. That's amazing when it happens, but wouldn't it be great if you could do something to help inspire creativity and ideas when you need it most? One of the problems we have is our thoughts often follow very similar patterns. This works well when you want to follow a daily routine, but not so good when you want to get creative. 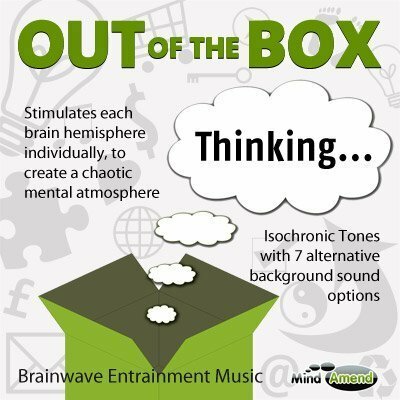 Out Of The Box Thinking is a session designed to knock your brainwaves out of familiar thought patterns, by stimulating lots of different frequencies in a random manner. 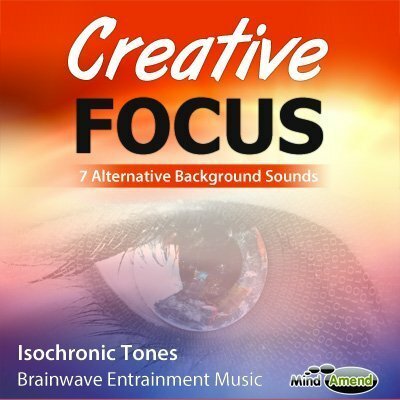 Creative Focus will help get your brainwaves into a peak state for creativity, but also keeping you alert and focus. It's a great session to try while working on artistic or creative projects.